The compliments flowed when the West Midlands Allergy Centre was inspected by the IQAS team on the 14th September. In the first inspection of its kind in the UK, the allergy service at HEFT was awarded full accreditation for providing a safe, effective and evidence-based service. Patient feedback was an important part of the assessment, and some patients came in person to give the inspectors their views on the service that they had from the allergy team. 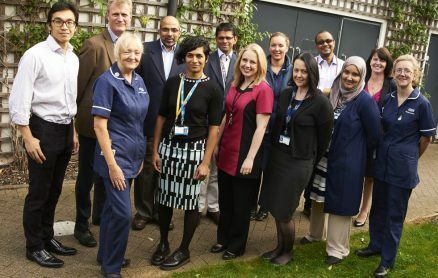 Dr Krishna who leads the team said “I am delighted that the first allergy service has achieved IQAS accreditation following a stringent independent assessment by a very experienced team, and am pleased that it has been my centre to do this”. You can see more details of the inspection at the IQAS website.